Nonprofit marketing is a different breed of animal from many other industries. Much of the marketing involved in nonprofit enterprises involves acquiring and scoring leads and maintaining a connection to existing donors. Email marketing for Salesforce, in combination with tools such as MassMailer, can make it easier to develop a consistent and effective marketing strategy. Nonprofits need to be able to identify leads that are most likely to engage with the organization. This often requires large amounts of data analysis and lead scoring. Salesforce campaigns can use data collected over time to score existing leads, but nonprofits still need to be able to reach out to new individuals. Nonprofit organizations regularly need to complete fundraising initiatives, meet metrics, and build their relationships with the donors and volunteers that have already worked with them. Salesforce email tracking is a way to measure engagement and pursue individuals who have connected the most with the organization. Email on a consistent basis. MassMailer can help an organization develop a schedule and a strategy, so organization contacts are continually reminded of the nonprofit’s goals and initiatives. Score leads. Salesforce combined with MassMailer can be used to appropriately score leads, so different email strategies can be personalized to the recipient and will, therefore, be more effective. Maintain a solid reputation. Avoid any blacklisted or “spammy” email terms and try to avoid overly promotional materials; people want to be reminded of the organization’s mission. Provide valuable and timely data. Update leads about the progress that the organization has made, particularly projects that they themselves have worked on or contributed to. Integrate your email. Direct leads to social media accounts and other owned media through email, to expand your reach and ensure that they are continuing to engage. Have a clear call to action. At the end of each email, tell leads exactly what they should do next to find out about the nonprofit’s current project, goals, and initiatives. Because nonprofit organizations require so many different points of contact, it’s easy for a nonprofit organization to reach Salesforce email limits. Nonprofit organizations have to contact large volumes of potentially interested leads, in addition to connecting with volunteers, prior donors, and prospective donors. Salesforce has specific limitations on how often emails can be sent, which can interfere with the email marketing campaign. 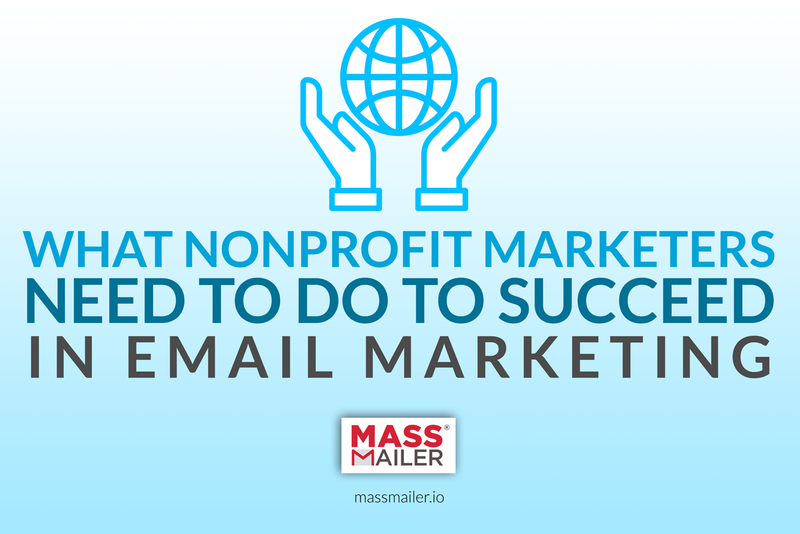 But MassMailer can be used to get around Salesforce daily email limits, making it easier for nonprofit organizations to keep up with their marketing strategies without having to worry about their email limitations per day. MassMailer also adjusts the limits Salesforce has on other issues, such as attachment sizes. Nonprofit organizations need to develop out their marketing strategies in a way that lets them build uniquely strong relationships with their potential donors, volunteers, and other participants. Salesforce can be used to create a comprehensive strategy, and MassMailer can be used to remove restrictions that would otherwise make Salesforce difficult to use. For more information, download the trial of MassMailer today.